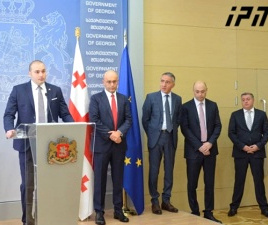 TBILISI, DFWatch–Georgia’s President Giorgi Margvelashvili may refrain from participating in the work of the state constitutional commission and instead start ‘actively lobbying’ for launching a public discussion regarding constitutional amendments, the head of president’s administration said on Monday. 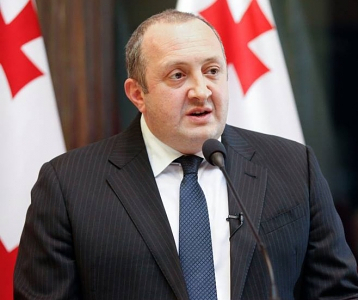 Presidential spokesperson Giorgi Abashishvili emphasized that the constitutional commission’s current draft is based on one party’s unilateral decision and would have a problem with legitimacy. “The commission should have great legitimacy and broad consensus, because this commission should review not only a simple document but the Constitution, which is an important document for every citizen. It must be treated with great care,” Abashishvili said. 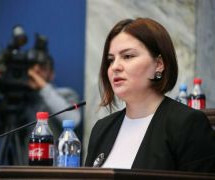 Margvelashvili earlier proposed that the commission could be co-chaired by heads of the three branches of power – the president, the prime minister and the speaker of parliament. 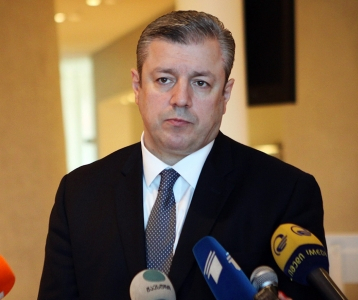 But in the draft resolution, which likely will be put to a vote in the parliament this week, the planned commission has only one chairman, Speaker of Parliament Irakli Kobakhidze. 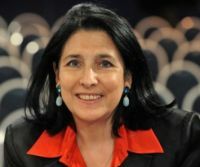 The commission would comprise two government representatives: chairpersons of the Constitutional Court and the Supreme Court; the heads of the legislative and executive bodies of Adjara and Abkhazia autonomous republics; the public defender; the president of the National Bank; chairperson of the State Audit Office; and finally experts and representatives of non-governmental organizations. According to the draft resolution, the commission has until April 30, 2017 to go through and review the constitutional amendments. The ruling party, Georgian Dream Democratic Georgia (GDDG), will have 23 members in the commission; the opposition United National Movement (UNM) party will be represented by 6 members and the Alliance of Patriots by one member. 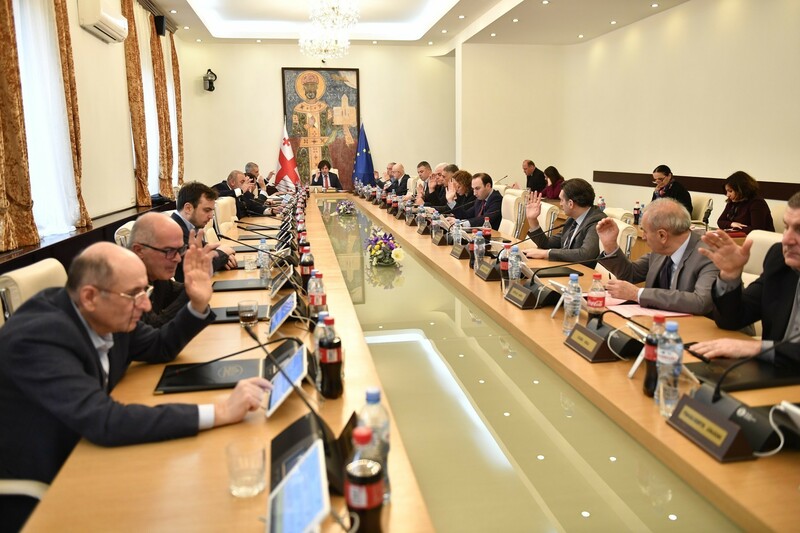 The commission will also have one representative from each of those parties and coalitions which were unable to make it into parliament in this year’s election, but got at least 3 percent of votes.